I’ve long preached the message of open access publication/sharing of student work via platforms like OA institutional repositories and Wikipedia as an unparalleled means to engage students and turn the “banking” model of higher education on its head. I do so because have witnessed firsthand in many learning scenarios the effect that public readership can have on the research/writing process particularly among undergraduates, and I advocate for this practice whenever possible as an application of critical and feminist pedagogy in information literacy (IL). As many in libraryland well know, OA publication of student work can be a hard sell among some faculty and administrators – case in point the recent (misguided and retrogressive, IMO) American Historical Association recommendation that History PhDs embargo their dissertations for a staggering six years. AHA’s decision is largely tenure-based, claiming damaging effects of OA dissertations on subsequent monographic publication through university or other presses – I’m not going to go into the AHA issue in depth in this venue, but a recent NYT article provides a good overview of AHA’s rationale and reactions from SPARC and others who argue against restrictive ETD sharing. When applied to undergraduate work, the OA conversation is subtly different, and often settles on issues of questionable rigor and the validity of ‘expertise’ contributed publicly before an advanced degree is sought. I do not mean to downplay legitimate quality issues in some student output and/or concerns about premature publication of ongoing labwork, nor fail to acknowledge (largely exaggerated) fears about diminished potential of post publication that many faculty raise. In fact, these are all necessary and important conversations to have when seeking movement on the issue – the AHA decision and other reactive stances to OA as a legitimate and desirable form of practice (let alone pedagogy) in higher education are the only way we will have a conversation large enough to shift the tide scholarship irrevocably toward open. Moreover, reasoned and well-informed debate on OA issues is the best means to make invaluable faculty allies in the effort to open scholarship, which sets the background for the real purpose of this post – to share the most ringing faculty endorsement of the pedagogical value of OA student work I have ever heard. This comes in the form of a recent keynote address I had the privilege of attending at the USETDA conference by Char Miller, W. M. Keck Professor of Environmental Analysis at Pomona College and a close collaborator. Char, myself, and CCL colleagues Sean Stone and Allegra Swift have worked together over the past three years to tweak and re-develop Pomona’s senior EA thesis seminar to become focused around mandatory inclusion of theses in Scholarship @ Claremont as a backdrop for IL instruction. Char’s talk in its entirety follows at the end of this post, but first a bit more background on our OA/IL collaboration. In the EA thesis seminar and in our interactions with EA seniors, we approach OA-as-pedagogy from multiple angles, such as using the concept of ‘information privilege’ (the best conceptual phrasing I’ve come up with to make clear the distinction between working behind and outside the institutional paywall), encouraging appropriate attribution and permissions practices, and exhorting students to understand their own voices as valuable contributions to an ongoing interdisciplinary discourse. I will share more on this collaboration in the future, but suffice to say that the quality of student work has improved so noticeably in the EA seminar that grades have actually gone down (Char’s speech gives insight into this apparent paradox). If you work with undergrads on any and all things information literacy, if you are involved in advocating for scholarly communications, OA, and/or institutional repositories, then Char’s talk below is required reading. His effect on the crowd of OA pundits at USETDA was galvanizing – if ever a room full of librarians was electric, this was it. I could tell you more about how he approached the issue(s), but he does so masterful a job of it there is little room for embellishment. The text of his talk is also available in PDF through Scholarship @ Claremont. I am deeply grateful to Marisa Ramirez and the USETDA for the opportunity to speak to you today, and doubly so to my esteemed colleagues Char Booth, Sean Stone, and Allegra Swift for schooling me on the intricacies of and pedagogical opportunities embedded within contemporary information literacy and digital librarianship. Their impact –collective and individual – on me, my students, and on the five-college Environmental Analysis program in Claremont, has been transformative. But then librarians and libraries always have been an important part of my life. My mother was a librarian, starting as a volunteer at our elementary school in Darien CT, and ultimately organizing and stewarding the school district’s library system. So these special educational places, along with the local public library, became my second home. That was in part because of the enticing riches they contained (all those Bobbs Merrill childhood biographies, rip-roaring adventure tales, National Geographics; all those words!) And in part because of what they did not allow: in the library, my caterwauling parents had to Be Quiet. That silence was golden. Yet the world of books my mother introduced me to and the hushed sanctuaries in which they were housed are not the same environments they once appeared to be. USETD librarians know much better than I how dramatic the shift has been, how tectonic has been its jolting power. The flow of information into and out of libraries – the kinds of data now available, the varied formats in which it is delivered, who has access to it (and who does not) – is changing the way we read, study, research, and archive this material, and the physical and virtual contexts in which these activities occur. It has also upended how we teach, or at least it should. As an example of this overturning, consider the context in which two undergraduate theses were researched, written, and completed – 36 years apart. 1975 – That was the year I researched and wrote my senior thesis at Pitzer College, the youngest of the Claremont Consortium. It probed the political activism of Alfred Mitchell Bingham, editor and publisher of Common Sense, a left-of-center magazine in the New Deal era that spoke to and for those who hoped to push President Franklin Roosevelt into enacting even more progressive reforms. That project was the impetus for my dissertation, “Fathers and Sons: The Bingham Family and American Reform,” an exploration of five generations of that distinguished family, which included missionaries in the Pacific, a Connecticut senator who earlier had rediscovered Machu Picchu, and Alfred Bingham’s son, Jonathan, a civil rights lawyer who had been implicated in the failed effort to free George Jackson from San Quentin prison. Luckily, Temple University Press thought it had the makings of a book, and after considerable revisions, the volume appeared in 1982. That’s a wonderful trajectory, to be sure, but what about the thesis itself? How was it written and evaluated? Who has read it and where now is it located? There was no required thesis class at Pitzer when I was a student there, no formal way by which I was introduced into the mysteries – as they then appeared – of academic scholarship. When the project was completed, I defended it in the office of my first reader, political scientist Lucian Marquis, with three historians also squeezed into that tiny space. They read my thesis, my mother and father may have done so, but I cannot imagine anyone else has because it was not – and is not – available. A colleague at Pitzer mentioned that a copy is located in that college’s archives, and I know I donated mine to Special Collections of the Honnold/Mudd Library of the Claremont Colleges; either way, it is interred. 2011 – My students’ experience with the thesis process is decidedly different. Consider another Pitzer graduate, Mary Ferguson’11, who wrote her study of “Sediment Removal from the San Gabriel Mountains” under my direction.” She enrolled in the required thesis class at Pomona College, EA 191, the syllabus of which included three class sessions with Information Literacy/Digital librarians (the aforementioned Booth, Stone, and Swift); she and her peers were required as well to set up subsequent meetings with subject-relevant reference librarians to learn more about the tools and data sets that available to them. The first in-class assignment that Mary and her compatriots completed was to read and critique earlier theses as a way to introduce them to the level of analysis their predecessors had achieved (or not), to enter into an intellectual dialog with these young scholars, and to set the baseline for their work to come. Over the semester, the students also presented their work to their peers, including a final public presentation before the campus and community. The final requirement, which I instituted in 2011, was the posting of the finished thesis on The Claremont Colleges Library’s open-access site, scholarship.claremont.edu. As impressive as those numbers are, deciphering their significance is difficult as it is not yet possible to determine who is downloading the theses and to what end they are putting this work. That aside, the most striking result is what this information conveys to the students. Knowing that so many people ware reading her work led Mary Ferguson to recognize its ongoing value, confirmation for why the Environmental Analysis Program decided that all senior theses must be posted on scholarship.claremont.edu: “I wish I had more time with it to add more content and polish it up a bit, but I’m thinking of writing some sort of follow up on the whole thing.” Open Access opened her up to a world to which she did not know she could contribute. Why Push Open Access for Undergraduate Research? 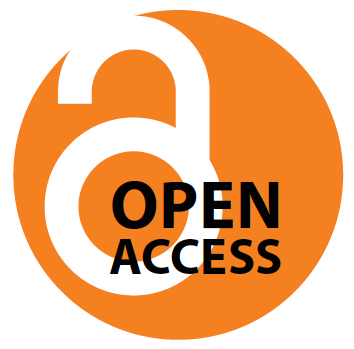 Open Access (OA) is largely associated with faculty scholarship. Faculty and librarians have been using OA as a way to break down for-profit publishing monopolies and the insidious barriers that this has created for the creation, transmission, distribution, and consumption of ideas and information. What SPARC has done, and brilliantly so, is to identify the universe of idea generation and denote who should control its meaning, flow, and accessibility. Yet this listing also creates a top-down dynamic of its own, no less inimical than that which it purports to disrupt. It privileges faculty control over the production of knowledge. These individuals, and the professional organizations to which they belong, are the experts, the key definer of what constitutes legitimate research and knowledge. This privilege and status grants them power, power that is then revealed in the most common critiques of undergraduate (and graduate) OA publication. Some, but not all, scientific disciplines fear releasing data before the faculty is ready to publish. In the Humanities, Social Sciences, and Sciences there is also assertion that student scholarship is immature and unpolished, drafts not-ready-for-primetime. These worries embody as well the often unstated anxiety that if the faculty’s name is associated with an undergraduate thesis posted on a digital commons, then its perceived quality may undercut the faculty’s academic standing. So concerned is the American Historical Association about OA publication that it is promoting a six-year embargo on all history Ph.D dissertations; argued in the language of protecting junior colleagues’ intellectual property rights, its logic is specious and guild-centric and has been receiving considerable pushback from librarians and scholars. In its own small way, the senior thesis class I teach is designed to break down some of these ill-advised barriers to the dissemination of knowledge. EA 191 challenges the SPARC and AHA hierarchical dynamic through its requirement that all seniors post their theses on scholarship.claremont.edu. It grants privilege and power to student authors, gives them space to assert their intellectual agency, allows them to enter the academic conversation, and, as Mary Ferguson has come to see, maybe even alter some professorial paradigms. The class also proposes that students have the capacity to produce and distribute their ideas and arguments with the same kind of open access that many faculty profess to value in their professional lives. Open Access empowers all scholars, not just those with a Ph.D appended to their last names. Even as it confronts some of the guild-like qualities governing the source of knowledge and information, EA 191 also offers students a real-world immersion in the complicated processes by which ideas are generated and then revised and then placed before an audience. The students develop research proposals in the spring of their junior year, rework these over the summer even as (I hope) they are conducting relevant research into their topics to verify their subject matter and to build the requisite data they will employ to sustain their arguments. Their subjects are often drawn from a rich mix of personal fascination and academic experience (some of which are derived from initial research while on program-specific study-abroad programs), and as they wrangle this interdisciplinary array of material into manageable form and narrative focus, they are by definition learning too that their need to be accountable for their claims is part of the larger process by which they will remain active, life-long learners and engaged citizens. That said, they are not operating in a vacuum. The students are in constant dialog with their faculty readers and their peers (and the source instructor). They are in contact with the librarians in and out of class, safety nets that support their work but which are not designed to do more than that. Indeed, the real goal is for the faculty to step back from the process, to be guides on the side that allows for a relinquishing of authority that in turn allows students to assert their agency. With that newfound power comes responsibility; with Open Access comes exposure. That is also built into the course’s pedagogical ambitions, for OA creates a clarifying urgency that leads these already ambitious students to dig deeper into primary and secondary sources, to think harder about their meaning and value to their scholarship, and to argue more effectively and write more forcefully. Underlying this engagement is a healthy mix of pride, drive, and ambition, fear and anxiety, commitment, conviction, and uncertainty – a mixture that is no less a part of every writers experience. That may seem counter-intuitive, especially in an age of grade inflation, but in fact it is a logical outcome of the course’s more robust set of interventions and requirements. Faculty readers know the training students have received from the librarians on research, information literacy, and attribution/citation – they have higher expectations for what the students can be expected to accomplish and so have toughened up their standards even as the students themselves are working at a higher level. The awarding of fewer solid As, in this case, actually means that students are writing more effectively and that faculty are utilizing tougher evaluative rubrics. A more rigorous assessment of student outputs is also underway. In conjunction with Claremont librarians Booth, Stone, and Margaret Hogarth, the EA Program is conducting a rubric-based assessment of undergraduate theses. Starting in the spring of 2013, a group of librarians and EA-affiliated faculty meet for a norming session, discussing their reactions to a senior thesis read in common. The group then sampled a random set of six theses each year from 2010 to 2012 across the Arts & Humanities, Social Sciences, & Sciences to score them relative to the Claremont Colleges Library Information Literacy Rubric. In August 2013 the group will meet to discuss results and plan responses to upgrade and/or tighten relevant elements of EA 191. It is not clear how easy it would be to replicate this model on other campuses under different conditions. That is particularly true of the OA aspect of the class, its insistence that students participate directly and publicly in academic debates. Among the most daunting impediments is the faculty’s sense of power and privilege, the ingrained faith that their expertise grants them authority over the construction of knowledge, its production, distribution, and consumption. This resistance, conscious and unconscious, may be more likely at research universities than at teaching-centered liberal-arts colleges such as the Claremont Consortium, but here too there is often a reflexive privileging of the faculty’s primacy. That clout is receiving scrutiny from another direction that OA librarians can make use of in their efforts to integrate OA into campus culture. Over the past decade or so, accreditation organizations have transformed how they evaluate the success of American colleges and universities, and the metrics they now impose now longer focus on what classes faculty teach (inputs) but on how they students learn and demonstrate that new knowledge (outputs). This has had the healthy consequence of decentering faculty and (re)asserting the student experience as the core of the educational enterprise. That being the case, these new rubrics offer OA librarians a handy rhetorical device for opening up a conversation with departments and programs about the possibility of advancing similarly integrative concepts in the classroom and through OA posting of student research; every download signals at least in part that others see value in a student project or thesis, a mark of how well these young authors have absorbed and reflected on their education. This principled effort to build a more open and inclusive academic environment as part of the senior capstone process must come conjoined with a set of classroom experiences that make full use of the skills, insights, and talents of information-literacy and digital librarians. If their expertise is not built into a thesis class’ goals and objectives, if the values of OA are not inculcated into the students’ experience as they research, write, and publish their theses, the end results probably will not contribute substantively to the larger debates in the academy or the community. We will have failed to empower this rising generation of writers and critics, and as such the resulting theses might as well remain, as mine has, in a filing cabinet. Char Miller is W. M. Keck Professor of Environmental Analysis at Pomona College, Claremont, CA. In 2013, he was a recipient of the college’s Wig Distinguished Professor Award for excellence in teaching. His recent publications include On the Edge: Water, Immigration, and Politics in the Southwest (2013) and Seeking the Greatest Good: The Conservation Legacy of Gifford Pinchot (2013); he also is co-author of Death Valley National Park: A History (2013), and co-editor of Between Ruin and Restoration: An Environmental History of Israel (2013). This essay constitutes a revised version of his keynote address to the US Electronic Theses and Dissertations Association annual convention, “Waves of Change,” Claremont, CA, July 25, 2013. See for example, Stephanie Davis-Kahl and Merinda Kaye Hensley, eds., Common Ground at the Nexus of Information Literacy and Scholarly Communication, (Chicago: Association of College and Research Libraries, 2013). Char Miller, Fathers and Sons: The Bingham Family and the American Mission, (Philadelphia: Temple University Press, 1982). Mary Ferguson to Char Miller, May 29, 2013, email communication; her thesis has since topped 300 downloads. MYOB (make your own badge). What I like about having student work published (in an OA fashion) is it gives the students a visceral understanding of what scholarship is. Librarians often use the metaphor of “scholarship as discussion” but this gives students a real, lived experience of discussing – their voice is heard (they aren’t just listening any more). As part of learning (and doing) all the stuff PhDs do, these students present their work at an annual conference at PSU and their work gets published in the McNair Scholar Journal in our IR – PDXScholar http://pdxscholar.library.pdx.edu/mcnair/ . Some of the student work is the most downloaded in our IR.